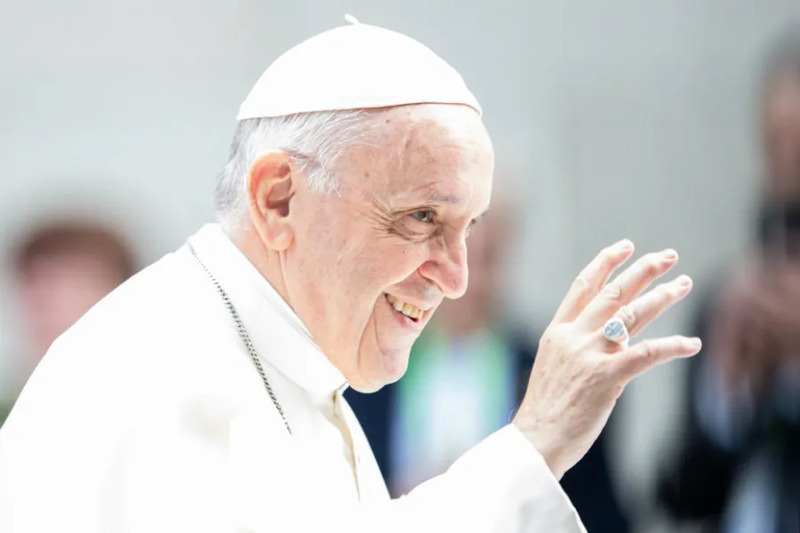 Vatican City, Dec 6, 2018 / 11:01 am (CNA/EWTN News).- Pope Francis Thursday published new laws governing the administration of Vatican City State, including the formation of a new oversight body for verifying departmental compliance with regulations and procedures within the governorate. As an additional accountability measure, the director will now have “personal responsibility for the activity of the Directorate,” and for ensuring compliance with the norms. Francis had placed Cardinal Giuseppe Bertello, president of the Governatorate of Vatican City State, in charge of drafting the law beginning in February 2017. At the same time, a commission was created under Bertello for carrying out the work; it met periodically from March 2017 to July 2018. In this spirit, the legislation will reduce the number of departments from nine to seven (apart from the Vatican Observatory, which is counted separately as a scientific body) and the central offices have been reduced from five to two, with the combining of the Civil Status, Registry and Notary offices with the Juridical office and the suppression of the Office of Pilgrims and Tourists. The structure of the governing bodies, the presidency and the secretary general, were not significantly changed. Vatican City, Mar 7, 2018 / 03:05 pm (CNA/EWTN News).- Cardinal Robert Sarah has authored a preface for a newly published book detailing the ascendancy, in the last 50 years, of the reception of Communion in the hand. He has been thanked for his efforts with at least one call for his removal from office. The flare-up offers an opportunity to look in greater detail at the history of the means of receiving Holy Communion. Sarah, the prefect of the Congregation for Divine Worship and the Discipline of the Sacraments, wrote a preface to La distribuzione della Comunione sulla mano: Profili storici, giuridici e pastorali (The distribution of Communion in the hand: A historical, juridical, and pastoral profile) by Father Federico Bortoli, which was published recently by Edizioni Cantagalli. The book notes that in 1969, following the Second Vatican Council, the Congregation for Divine Worship issued an instruction which expressed that Blessed Paul VI had determined not to change the means of administering Holy Communion to the faithful – i.e., to retain distribution of the Host on the tongue to those kneeling, rather than allowing communicants to receive the Host in their hands. The instruction, Memoriale Domini, indicated that where distribution of communion in the hand already prevailed, episcopal conferences should weigh carefully whether special circumstances warranted reception of the Eucharist in the hand, avoiding disrespect or false opinions regarding the Eucharist and ill effects that might follow, and if a two-thirds voting majority decided in the affirmative, such a decision could be affirmed by the Holy See. Despite this instruction, and subsequent expressions of support for the reception of Holy Communion on the tongue from St. John Paul II and Benedict XVI, the distribution of the Eucharist on the hand has become widely adopted, especially in the West. Using previously unpublished documentation, Bortoli’s work traces the dynamics which led to the present situation, and argues that reception of Holy Communion in the hand has contributed to a weakening of faith in the real presence of Christ in the Eucharist. 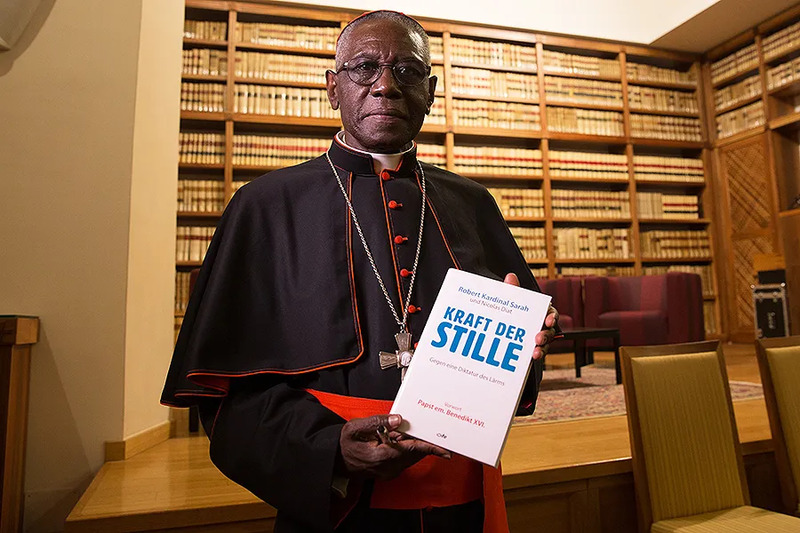 The text of Cardinal Sarah’s preface was published Feb. 22 by La Nuova Bussola Quotidiana, and portions were translated into English by Diane Montagna. The cardinal wrote that the angel of peace who appeared at Fatima desired that the three children would make reparations for profanations of the Eucharist (such as desecration or sacrilegious reception — by those not in the state of grace or not professing the Catholic faith) and for all that can prevent the sacrament’s fruitfulness. According to Cardinal Sarah, the demonic attack against the Eucharist follows two tracks: the reduction of the concept of the real presence, and an attempt to remove the sense of the sacred from the hearts of the faithful. He noted that a sense of the sacred can be lost by receiving special food in the same way as ordinary food. He pointed to the example of St. John Paul II, who always knelt before the Eucharist despite infirmity, and St. Teresa of Calcutta, who habitually received Communion on the tongue. 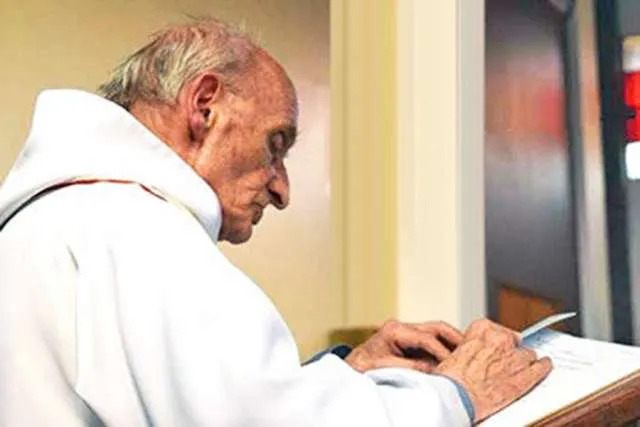 Cardinal Sarah voiced hope that Bortoli’s work would encourage both priests and laity who wish to administer or receive the Eucharist in the mouth and kneeling. The cardinal did not propose to change the current ecclesiastical norms governing the reception of Holy Communion. While in in the earliest ages of the Church there are many writings which demonstrate that Communion was received in the hand (most notably St. Cyril of Jerusalem’s Mystagogical Catecheses), there are also early demonstrations of Communion on the tongue, as in the writings of St. Gregory the Great. Reception of Communion in the mouth was widely adopted around the ninth century, and Communion in the hand had disappeared entirely after the 10th and 11th centuries, according to Jungmann. This development removed the worry “that small particles of the sacred bread would be lost”, and the Jesuit wrote that it was probably related to the transition from leavened to unleavened bread. By the end of the patristic age, the Church had abandoned the practice of Communion in the hand, having found that Communion in the mouth was a better expression of reverence for the Eucharist. Of course, liturgical practices of the first millenium should not be revered simple because they are old. This commentary was a source of confusion for many, because recent magisterial teaching seems to support Cardinal Sarah’s position. The Congregation for Divine Worship issued its instruction on Holy Communion, which decreed the retention of Communion on the tongue despite some calls for distribution in the hand, five years after the end of the Second Vatican Council, and during the pontificate of Blessed Paul VI. When some bishops asked for permission for Communion in the hand, Bl. Paul VI sought the opinion of all the Church’s Roman rite bishops. Of those responding, 57 percent said that attention should not be paid to the desire for the reception of Communion on the hand. Of those bishops who were open to considering the practice, just over one-third had reservations about it. And 60 percent of bishops did not even wish that Communion in the hand be experimented with in small communities. More than half did not believe the faithful would receive such a change gladly. So, in 1969, in full consideration of Sacrosanctum Concilium, Bl. Paul VI “ decided not to change the existing way of administering holy communion to the faithful,” considering the remarks and advice of his fellow bishops, the gravity of the matter, and the force of the arguments against it. The Pope who oversaw much of the Second Vatican Council, and who implemented its liturgical reform, was clearly concerned about the risks of disrespect and false opinions about the Eucharist which could arise from Communion in the hand. The Church’s norms have not shed that concern. Nor did Sarah’s pastoral reflections. If Cardinal Sarah, who is responsible for the regulation and promotion of the sacred liturgy, is impugned for raising the very objections against Communion in the hand which were raised by Paul VI fewer than 50 years ago, it’s worth considering whether the idea of the “hermeneutic of reform” has been rejected among Catholic intelligentia. If nothing else, the affair reveals a very short historical memory among some members of the Catholic press. It’s also worth noting the strength of the reaction to what Cardinal Sarah in fact wrote was largely a function of media distortion. Sarah is far from removing permissions for Communion in the hand. His stated desire is to foster the “rediscovery and promotion of the beauty and pastoral value” of Communion on the tongue. The matter also demonstrates the degree to which reactionary Catholic media voices can enflame the kind of sensationalism they might otherwise criticize. Cardinal Sarah won’t really be removed from his office for suggesting the value and beauty of, to borrow the words of Benedict XVI, “what earlier generations held as sacred.” But in this moment of ecclesial polarization, he will likely continue to be criticized.